Ilocos Norte Governor Imee Marcos will do anything to milk that vote! 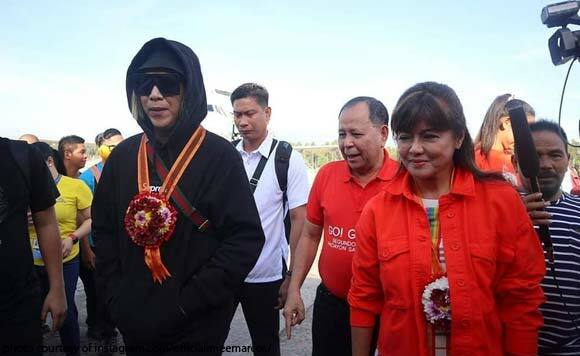 On February 2, the Ilocano politiko turned senatorial candidate posted pictures of the time comedian Vice Ganda was with her in Ozamiz City. Marcos’ caption for the photos was all about the creativity of the people in Misamis Occidental. But at the end of the post, the governor used the hashtag #ViceGanda. These photos already stirred controversy when they were taken last year. Vice, however, denied that he is a Marcos supporter and said he merely rode the same airplane as Marcos. Naku, Manang Imee, grabeng throwback naman ‘yan!